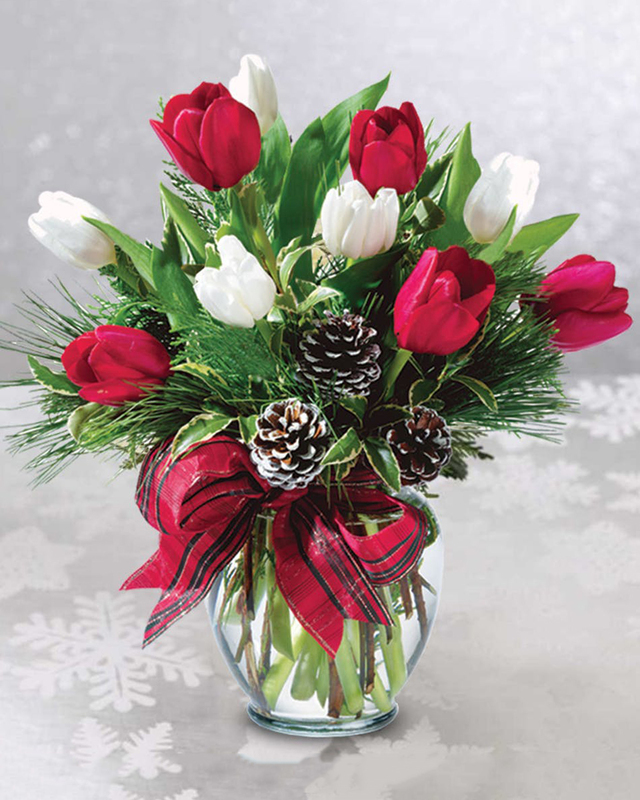 Red and White Tulips are arranged in a Ginger Jar with assorted Christmas Greens, Frosted Pine Cones, and a decorative Ribbon. 20 tulips arranged in a vase. 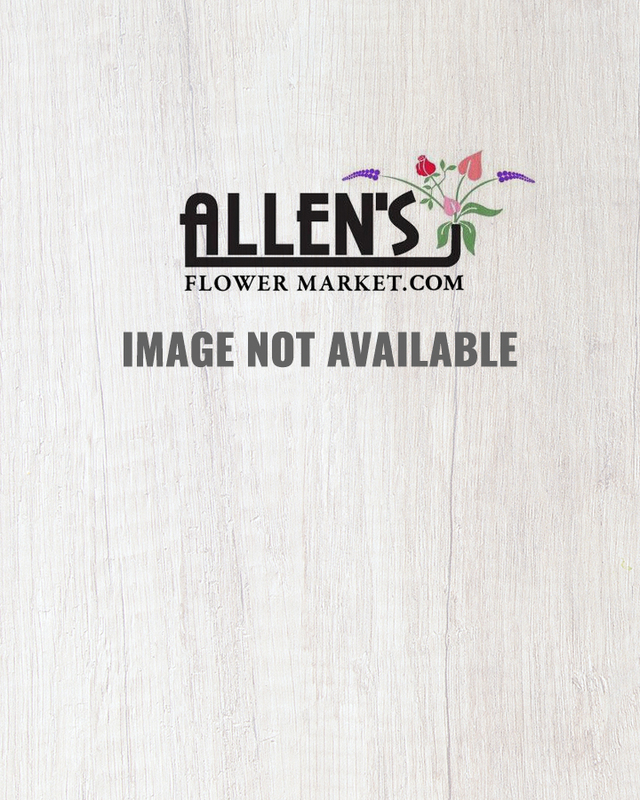 30 tulips arranged in a vase.